Today I passed my finals. I now have my M.S. 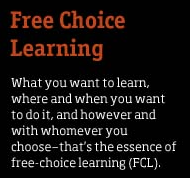 in Free-Choice Learning Science Education. I want to thank everyone who made this possible—my friends, my colleagues, my family, my research participants and you. Yes, you! Frankly, I’m still processing this. I have much to do yet. First off, I’m releasing Deme v. 1.1, as of today under the GNU Free Documentation License. You can share, modify and expand the rule system freely, as long as you retain my Creator’s Note regarding its intent. It’s not done—it may never be “done” in the traditional sense. I want you to take it, break it, fix it, shrink it, expand it, apply it, learn with it, teach with it and—most importantly—share what you do with others. This is, I like to think, the start of the story. Let’s write it together. To get started, I’ll provide the current iteration of the rule system here as a new post in a few minutes. Posted in Environmental Education, Events, Games.